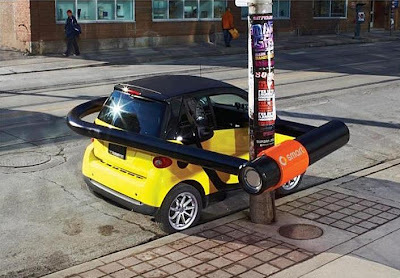 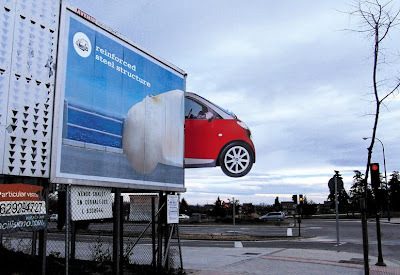 Clever and creative Smart car advertisements from all over the world. 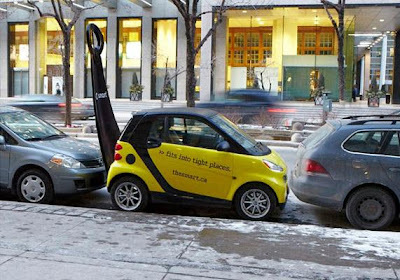 Smart Car Lock Advertisement: Oversized bike locks were created and placed over Smart cars in major Canadian cities to display it's ability to park anywhere. Smart Car Corner Billboard Advertisement: Clever billboard promotes Smart car in an interesting way. 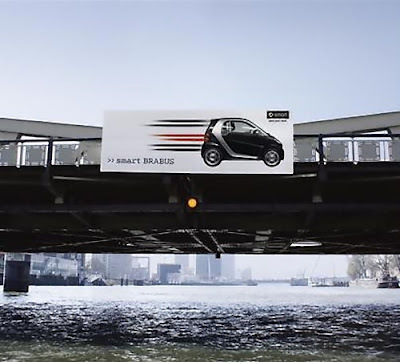 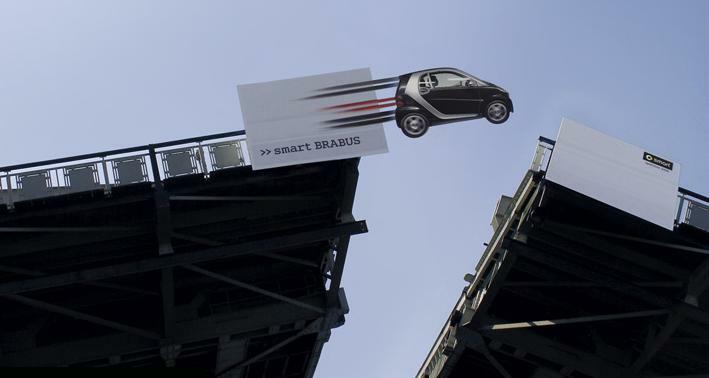 Smart Car Bridge Advertisement: A creative billboard was placed on a bridge in Rotterdam for the launch of Smart Fortwo. 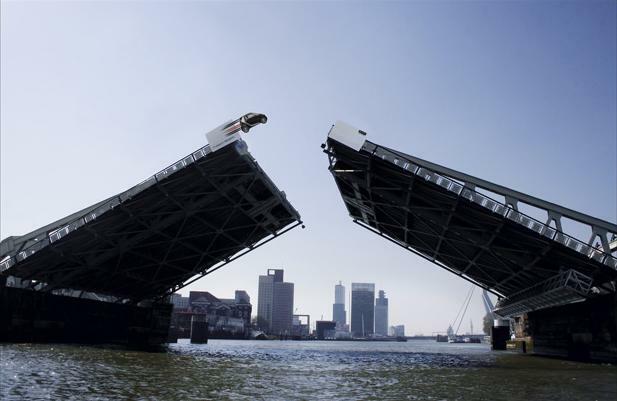 Whenever the bridge opened, the car appeared to jump over to the other side displaying its power and speed that could be seen from miles away. 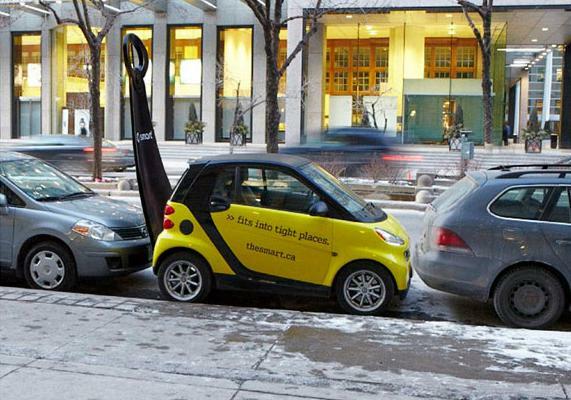 Smart Car Shoehorn Advertisement: Oversized shoehorns were built and placed behind Smart cars in major Canadian cities to display that they can be parked in the tightest spaces. 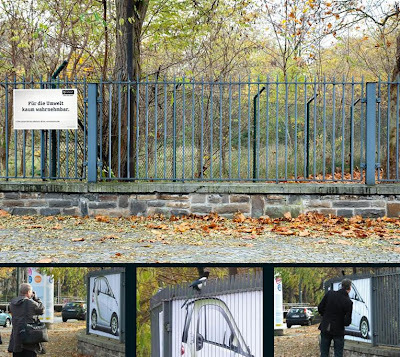 Smart Car Invisible Poster Advertisement: "A special labeling on the inside of an inner-city paling makes the image of a Smart Fortwo electric drive disappear when the viewer passes." 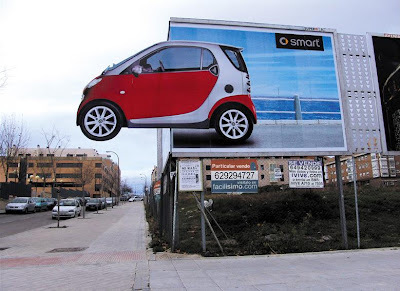 Smart Car Slim Billboard Advertisement: This Smart car advertisement cleverly shows exactly how the Smart car is good at finding a spot where no other car could possibly park. 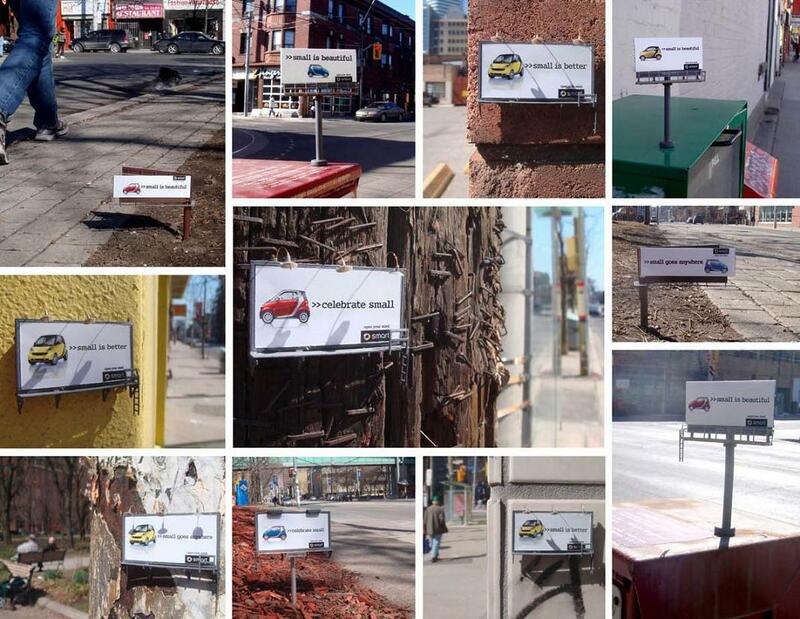 Smart Car Little Billboard Advertisements: Miniature sized street advertisements celebrates the beauty of being small. Smart Car Fuel Efficiency Advertisement: "In case of a fuel price increase, break the glass". 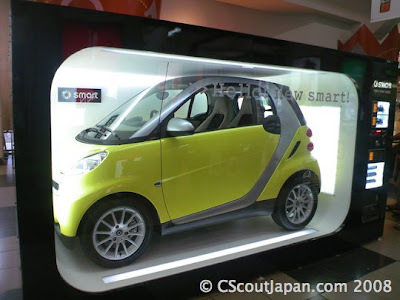 Smart Car Vending Machine Advertisement: Clever vending machines promote Smart cars in Japan. Smart Car Bodypanel Advertisement: Changing the Smart's bodypanels is fast and inexpensive. 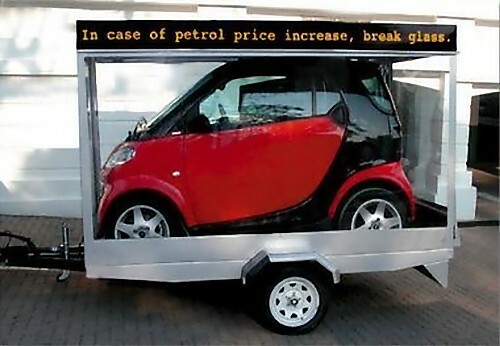 To prove the same, the car doors of several new Smart Fortwos were scratched in Düsseldorf, Germany. 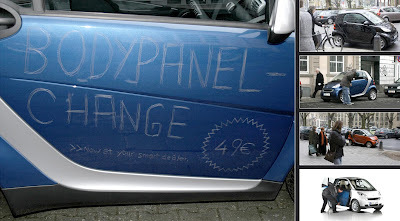 The scratched text read: "Bodypanel Change. 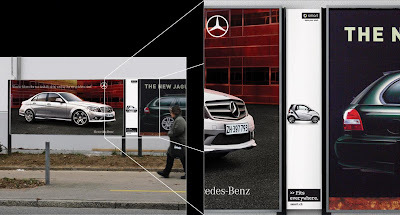 Now at 49 €". 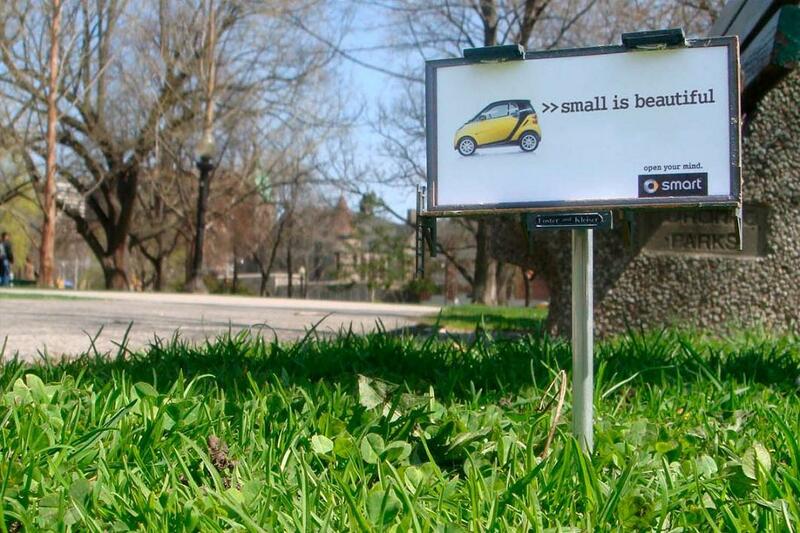 22 Creative and Clever Uses of Sticker in Advertisements - Part 3. 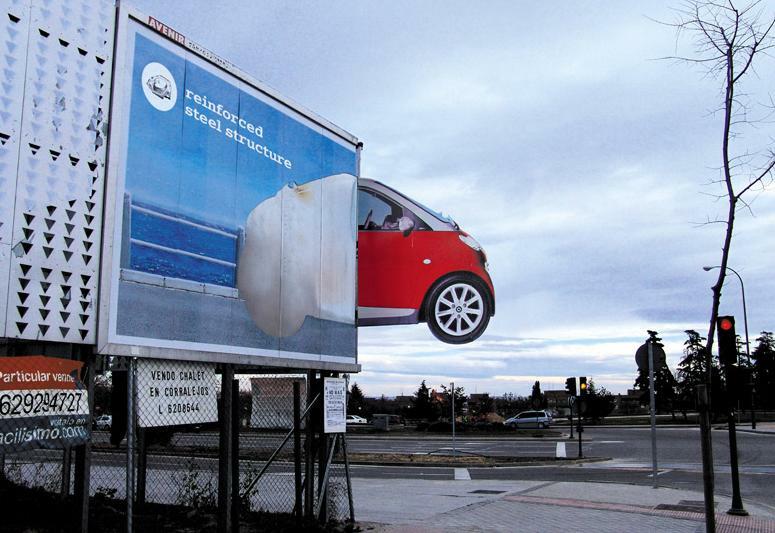 Creative Advertising: Billboards and Posters Created With Multiple-Pieces.